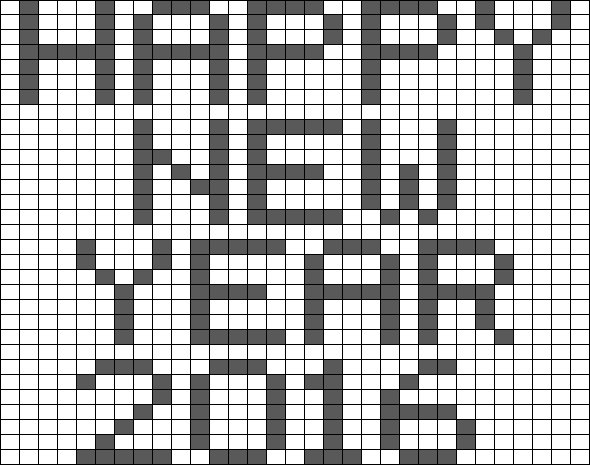 You have been given a blank 31 x 31 grid as shown below. Each square in the grid is either "light" or "dark". 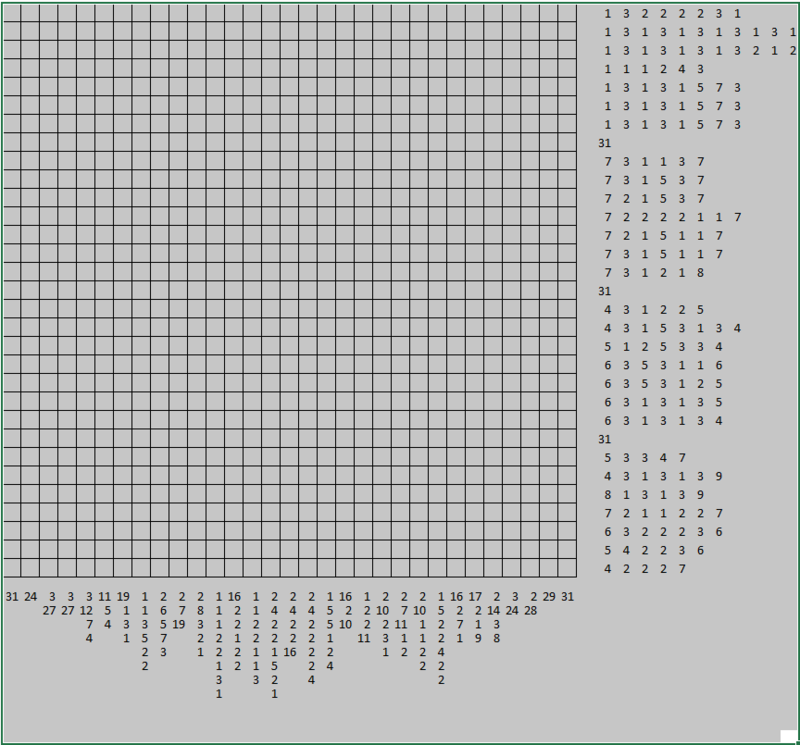 The numbers to the right of the grid represent the consecutive sequences of "light" squares in each row while the numbers in the bottom represent the consecutive sequence of "light" squares in each vertical column. 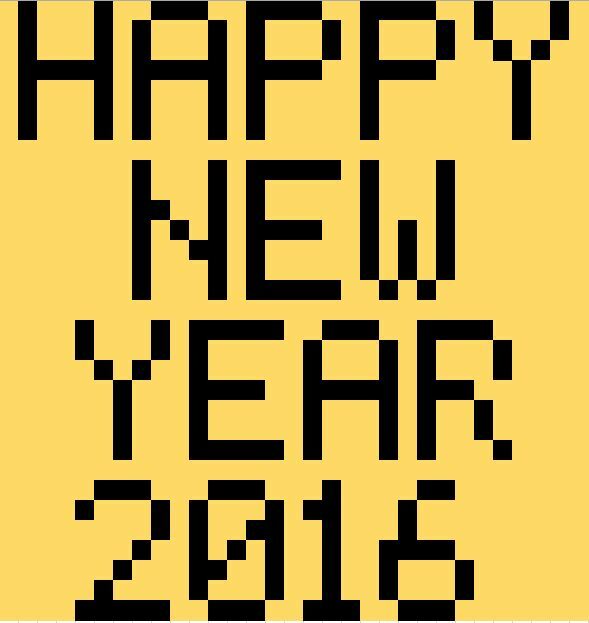 For those interested in text (edited to fix line breaks). For example, a 31 to the right of the grid means that all the squares in that row are "light" colored. Like others have mentioned tough, numbers weren't entire correct, as you can see from the broken r and weird 6. By "off by a little", I mean that row 12 doesn't exactly look good as you posted, so I took a little artistic license, and modified it. Instead of 7 2 2 2 2 1 1 7, it should have been 7 1 1 1 2 1 1 7. There may have been more small errors like that, but once I got started I was able to finish it mostly without using the numbers. Not the answer you're looking for? Browse other questions tagged nonogram or ask your own question.